If you’re trying to find the right bat for a loved one, know that the bat that they play with will drastically affect their skill and how well they can hit the ball. A well-made bat could improve things such as the hitting distance the ball goes and of course, if it improves anything at all, it will be your kid’s confidence in their ability to play. Getting a quality bat doesn’t have to cost you an arm and a leg, you can find a cost efficient bat that will also increase skill. The correct bat can vary based entirely on the person, their preferences and their size. Getting a bat with the correct length and weight is extremely important when you’re doing your research to buy a new one. In this article we will cover several different types of bats to give you a better idea of which one could be right for you to purchase. One of the best things you can do is have the child pick up the bat and try holding it straight out in front of them for 15-20 seconds. This can tell you if it’s too heavy or too light for the child and you can adjust which bat you decide on based partially on this, along with the other factors listed above. We want to give you a thorough list of the best youth baseball bats to consider whether you’re purchasing for your own child or for a whole team. In this section you will see several different bats, their dimensions along with anything else you may want to know about the bat. 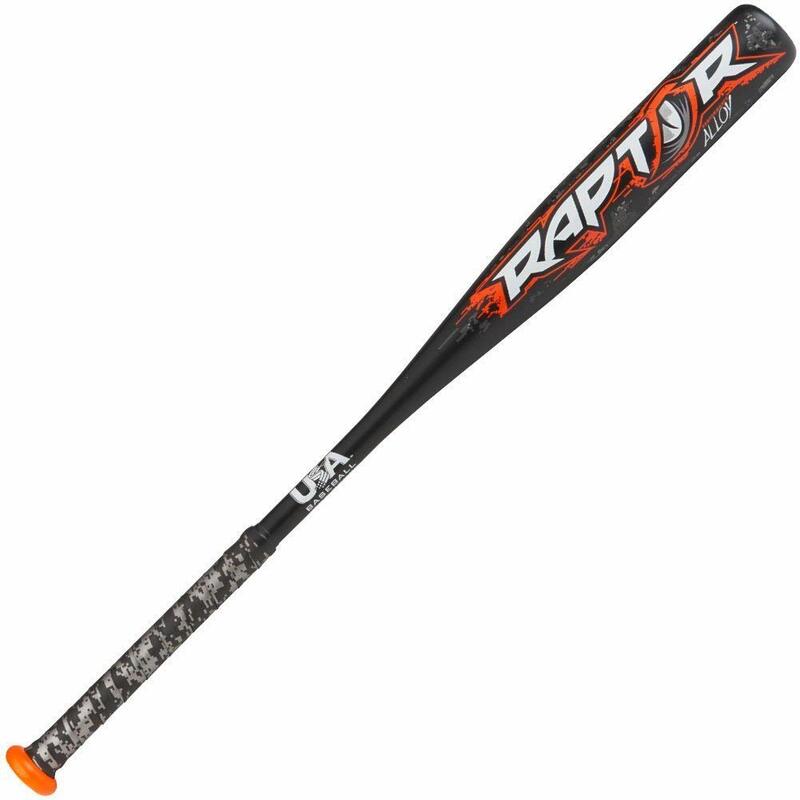 Not only will this bat not set you back a lot financially but it’s approved for Little League, Pony League, AABC, Babe Ruth, Dixie League and USSSA. It has a high-strength aerospace alloy with a rolled end, a 2 ¼ inch barrel diameter, 28-30 inches long with a 1.15 BPF standard. Weighing in at 1.24 pounds, it’s light enough for little ones to pick up but it is good to know that there is titanium dioxide along with other chemicals in the materials of this bat that could turn some away from it. The Easton Aluminum has was made and designed to give players a well-balanced bat with a quick swing speed and a great hitting force. It is made from a HMX Hyperlite Matrix alloy that with the help of an extended barrel make for a bat with a huge sweet spot for hitting. On this aluminum bat you with find the standard 2 ¼ inch diameter barrel and a lightweight drop weight of -11. This drop weight lets users have incredible swinging speed with this one piece bat. This one is great for younger players, allowing them to hit the ball farther than other bats on the market. This bat has a thinner handle which makes it easier to swing while providing a grip that is perfect size for the hands of younger players. It’s approved for all major youth leagues and is a great choice for any youth baseball player in need of a new bat. This bat is most known for having a huge barrel. The entire bat is one piece which makes it lightweight and gives it a massive sweet spot. With features like these, whoever uses this bat is bound to improve their performance. There was a 20% reduction when it came to swing weight which makes a noticeable difference during use. 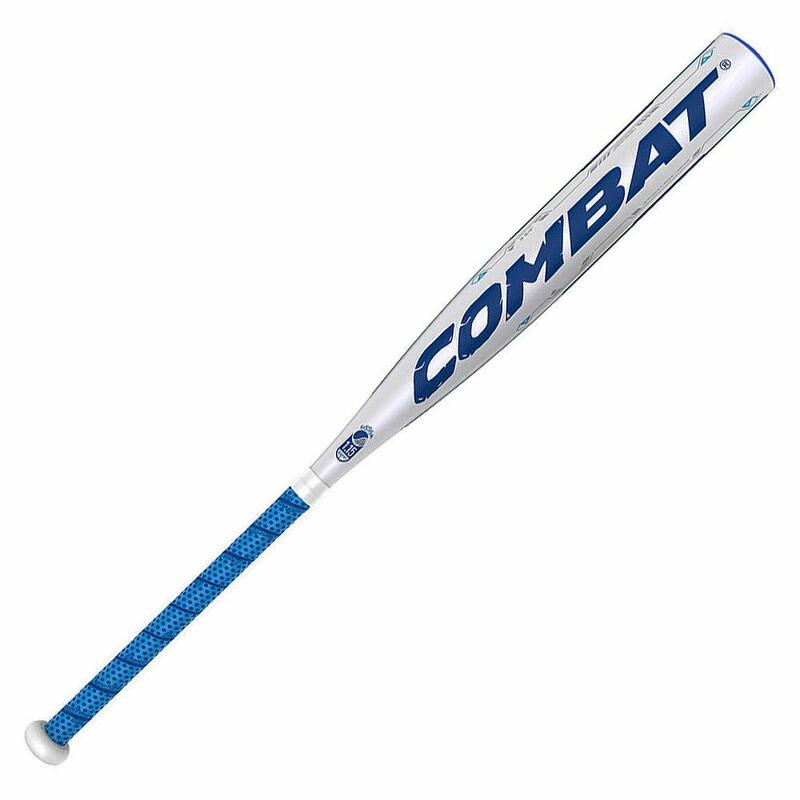 The Combat Youth 2016 Maxum Big Barrel Senior League bats are made with precision molding technology, providing a well-balanced swing weight, an extended barrel making it lightweight and 100% composite on the single piece bat. 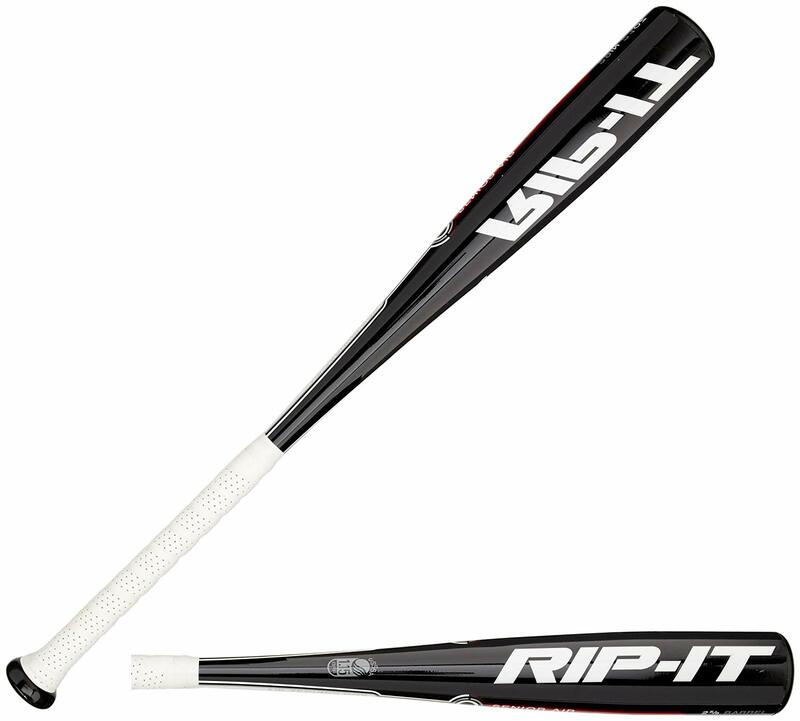 Though the brand “Rip-It” is pretty new to the baseball bat market, they’ve already created a great reputation and cult following in such a short timeframe. Their bats are known for having all the greatest features of higher end bats but at a more reasonable price that won’t break the bank. The entire bat is made up of R3 allow an is a single piece which lets users put all of their force into the barrel of the bat, making for a smooth swing. This bat could be a great option for power players since the barrel is solid and the entire bat is pretty well-balanced. You will find a high end contact grip on the handle which controls unwanted vibrations and helps make the swing follow through smoothly. One of the best things about this bat and the company it comes from is the massive 400-day unlimited replacement warranty which can be reassuring especially when kids are using it. 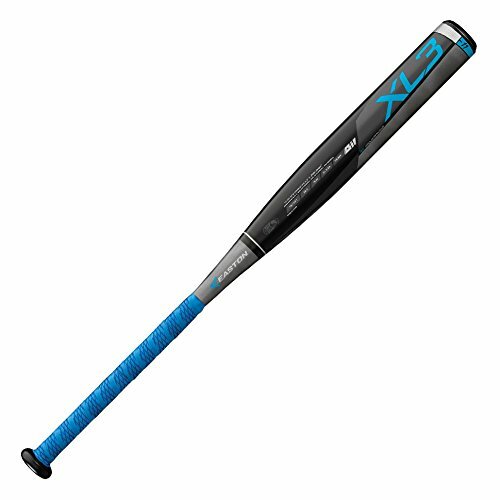 This bat was made due to player-driven innovation and it is designed with the latest technology such as the X14 barrel to help improve children’s baseball skills. This aluminum bat has a massive pop thanks to the low pro end cap and an RCK knob. THis bat is equipped with a Fusion 2.0 handle that gives you more control and lessens vibration.. The voodoo is back and stronger than ever. Thanks to its X14 alloy barrel technology, this aluminum monster has even more pop than before, and the Fusion 2.0 handle reduces vibration and redirects energy back into the barrel while the low Pro end cap and RCK knob help get maximum pop out of this stick. Having the nickname “Speed Brigade” you know this bat packs a punch and there’s a reason it’s on the top of the charts when it comes to popular bats for youth baseball. Like others on this list, it is made of a single piece. There is a youth friendly pro tack grip on the handle which fits younger hands easier than larger bats without the grip. You can find this bat in sizes between 27 and 32 inches with barrel diameters of 2 ¼ inches. This bat is made entirely of 7050 aircraft alloy which provides durability, is well-balanced, increases speed and has a drop weight of -13. You may recognize the name from a country song but Louisville Slugger’s are very durable bats. They are made out of alloy and are a single whole piece. This specific bat says that the ball hitting the bat is similar to how your feet would hit a trampoline. A little larger than the others listed so far, the Louisville SLugger Assault Senior League Baseball Bat has a diameter of 2 ¾ inches which could be useful for slightly older youth baseball players. One of the best things about this bat specifically is that it is USSSA certified. Marucci bats are great and this one definitely applies to that standard. This bat is made from 2 pieces and has a drop weight of -8. You are able to get it in 4 different lengths which is great if you have multiple children in baseball that are different sizes or ages. Marucci likes to use a specific technology that aids in shock absorbency which is great for kids to feel less of the hit all the way up the bat into their arm. 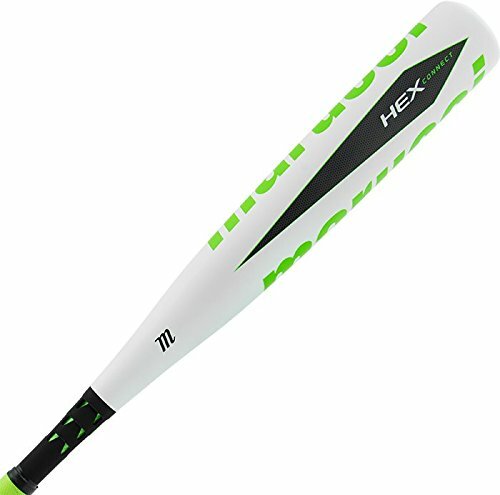 The Marucci Hex Connect Senior League Baseball Bat has the maximum sized barrel length allowed for Little League and is equipped with one of the largest sweet spots when compared to other bats that are similar. This is one of the newest bats on this list. It has a drop weight of -8, comes in 4 different sizes and is made of one full piece. This bat will give your child power while still being lightweight and cost efficient. With a drop weight of -8, it also makes for an easier, faster swing. The barrel is the typical 2 ¼ inches and is constructed entirely of premium alloy. This is a good choice if you’re trying not to break the bank for your little leaguer’s bat. Coming to the market in 2017, the DeMarini CF Zen Balanced Baseball Bat is still fairly new. This bat has some never before seen in baseball bat technology which can improve children’s game play. It is made out of 2 pieces of composite material. This means you will have a more accurate and well-balanced swing when using the unique handle that reduces any vibration one might feel while using. The one downside is that it is only available in one size that is ideal for children 8-12 years old. One of the best things about this bat is that it has proven to improve batting average and the amount of power your player can output. It is made from C1C composites and has been layered with a tough epoxy resin that allows this bat to have an amazing pop while still staying durable throughout several games. The end of the bat has the patented Louisville Slugger End Cap that absorbs most vibration and soaks up the energy when the ball hits the barrel which creates those massive pops. The handle is a simple ⅞ inch and has a synthetic leather grip which works well for young kids, helping them to keep hold of the bat. This bat is made out of trademarked precision molding technology. The technology specifically used on this bat uses a high-end composite material that injects itself into a carbon sleeve on the bat. This technology give the bat a seamless appearance while still enhancing the durability and overall performance of the bat. It is made out of a single piece and has a stiff feel to it. This can be great for players that depend on their own hitting powers and will help to hit the ball farther. This bat has only a single wall to it which gives it a lightweight feel to it making it quicker to swing through. Another thing that helps it feel as lightweight as it is is the drop weight of -12. It is approved for use in every major youth league and lastly, has a Ultra-Premium Lizard Skin grip making it comfortable for younger hands to use and keeps swings stable all the way through. If you’re searching and trying to find a great bat for beginners, consider the Easton S50 Youth Baseball Bat. You will likely get the most for your money if you decided to go with this bat. It carries a drop weight range of -10 to -19 which makes it perfect for the younger crowd since it’s so lightweight. This bat is made out of aircraft-grade aluminium which helps create a quick swing and helps keep a well-balanced swing all the way through. The handle is fairly thin coming in at 29/32 inch with a grip that works perfectly for smaller hands. Believe it or not, baseball bats made out of bamboo like the BamBooBat for Youth Little League are surprisingly durable. There are different lightweight options available that suit players anywhere from 5 to 13 years old. Another thing that may surprise you is that these bands tend to be stronger than ones made out of woods like maple or ash. If you try to live more natural and sustainable you will find joy knowing that these are the most earth-friendly bats on the market today. This is another bat for people who like to power hit or players that prefer a stiff bat. This bat is made completely out of 7u1 alloy and is a single-piece design. This alloy makes it so the bat has a rather large sweet spot and is known for the barrel having a lot of flex to it letting the user hit father without using any more energy. 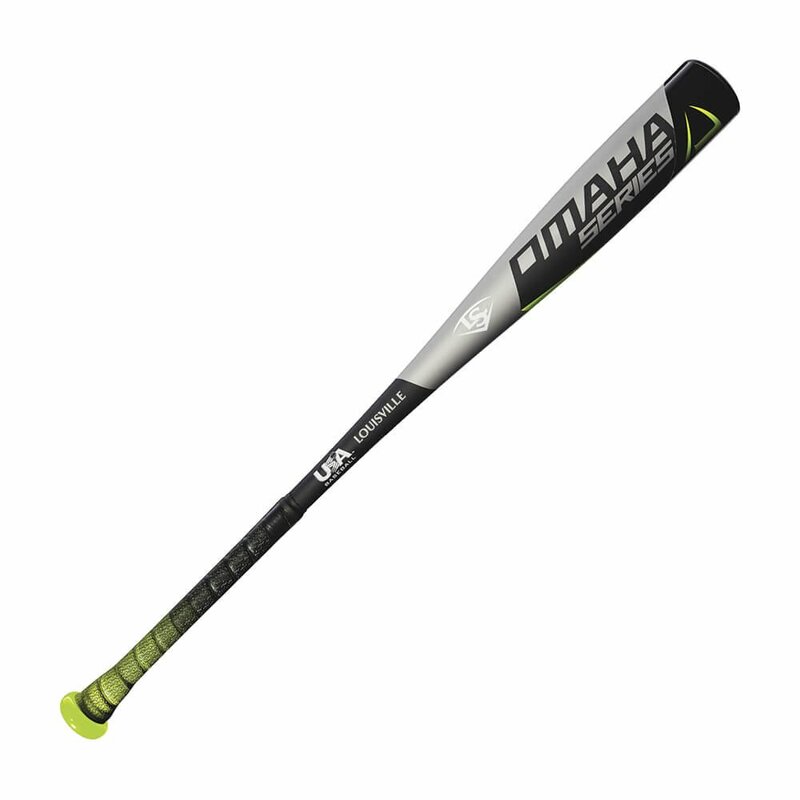 The Omaha 516 is known for being well-balanced and allows players to have a lot of control while swinging through a hit. You will find a small ⅞ inch profile on this bat. This allows the bat to be easily used on the field, especially with it’s drop weight of -13 making it extremely lightweight. 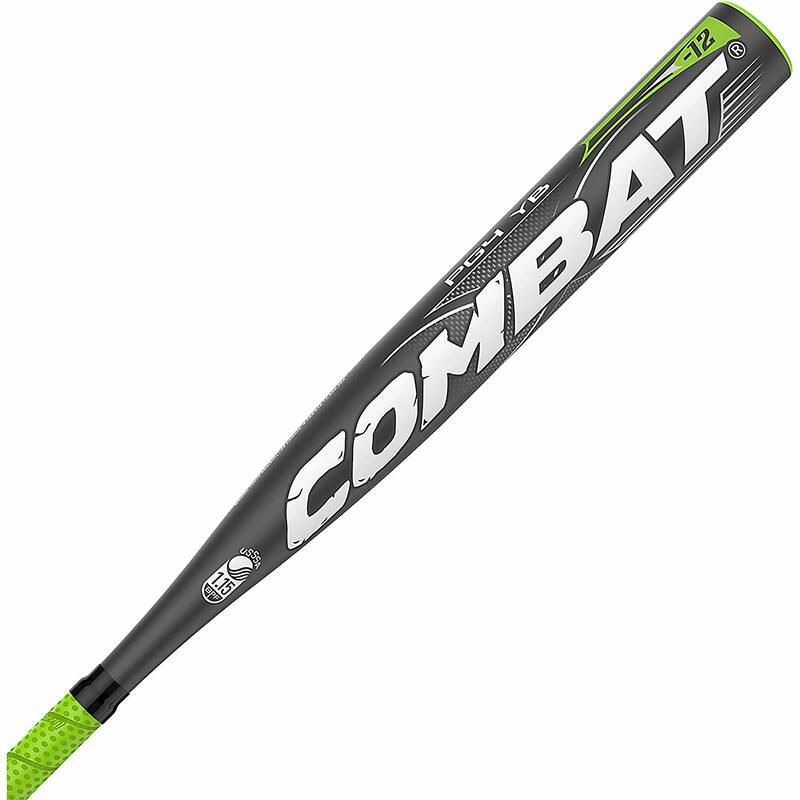 If your child is more advanced they might like the Easton Mako Composite Youth Baseball Bat. One of the best things about this bat is it has a huge sweet spot. You can give Easton’s special construction thanks for that. The construction is made up of a thermo composite technology. There is a drop weight range of -11 to -19 and the bat is made up of a lightweight alloy that makes it great for the younger crowd. 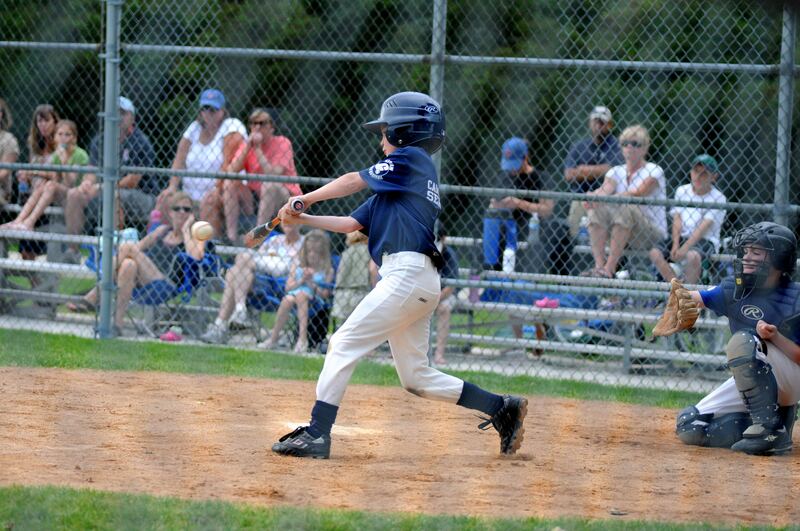 This bat is easy to swing and is made up of two pieces of a patented material from top to bottom. This material gives a massive transfer of energy and will help to eliminate vibration from the ball hitting the bat. Lastly, you will find a handle wrapped in a Hyperskin Grip that will give a soft, cushion-like feel to the handle, which saves hands from getting torn up during practice and games. If you want a bat with a ton of technology and elements that are more advanced than other bats on the market, the Mizuno MaxCor Carbon USA could be the bat you’ve been looking for. There is a drop weight range -5 with a 2 piece hybrid connection or one with a -10 drop weight. The barrel is slightly larger than most one this list coming in at 2 ⅝ inches. This company has a patented HotMetal alloy that they compacted along with a CorTech technology that they’ve incorporated in a special VP sleeve. The handle is in sync with the barrel and is specially equipped to take any vibrations and redirect them all while making sure the player is comfortable and the swings are easily controlled for easy use for youths. This is one of the more expensive bats on the list but as you can see, is also one of the most advanced and should last a long time. Though it may not be a new bat, when the Anderson Techzilla first dropped into the youth baseball bat market, it made waves and still does. It is made up of 2 pieces including a 2 ¼ inch alloy, double-walled barrel that produces a massive pop. This is said to be one of the best bats for youth baseball to ever have existed. You are able to buy used ones online if you’re interested. The swing on these bats can be compared to knife slicing through butter, it’s smooth to say the least. It may be smart to check to see if this bat is legal for whatever league your child may be in as it isn’t legal in most leagues nowadays. This bat will improve the players skill and will last for years to come. If your Little League player needs some power behind their swing, the Marucci AP5 Maple Baseball Bat could be the bat for them. This bat will help them hit the ball harder, faster and farther than a lot of other bats would. If your child is good at controlling their swing, the end-loaded barrel will benefit them as it carries a little extra weight, leading to great swings if controlled correctly. The knob is known for how well it is tapered. The handle on the Marucci AP5 Maple bat will help the user to swing with ease. It is handcrafted and has fantastic wood density and could be a perfect addition to someone who is considered a power player. Made out of a special fused carbon structure composite material, this bat is known for how lightweight it is but still has a huge sweet spot, especially when compared to other bats on the market. 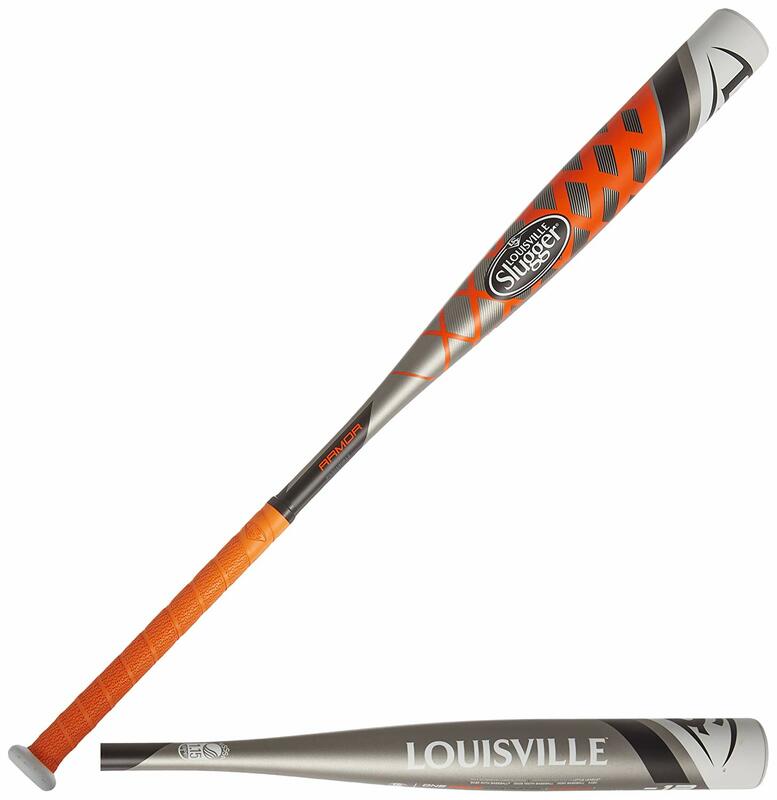 You will find that the barrel and handle are combined with a dynamic socket connection that is special in Louisville Slugger’s with their TRU3 technology. What this means is that there is an effect on the handle after you swing it resembling that of a whip, adding a nice pop to the hit. This bat will help provide an incredible swing speed and will help drive a force when hitting the ball. You will see a standard 2 ¼ inch barrel on this bat with an extremely lightweight drop weight of -12. After reading this list, we hope that you are able to find a few little league baseball bats that you and your loved one can test out for play. Keeping in mind that drop weight can be extremely important, especially in younger players, you will have found several options available above. Not every bat will work for every player which is why it is important to test out bats before purchasing when possible. If you haven’t yet, you can ask other parents if their children use any of the bats listed above and what their experiences have been while using the bat. Try out bats of different heights, drop weights and materials to see what fits your child best. Whether you go with one of the top youth baseball bats listed here or you go with one that better suits your player, find one that you think is a Home Run.